Caption slip reads: "Photographer: Olmo. Date: 1953-12-08. Reporter: Scott. Assignment: Burglar. 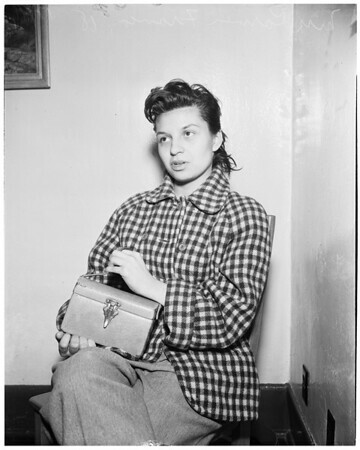 47-48: Mrs. Carmen Franco, 18, susp."